We’d love your help. Let us know what’s wrong with this preview of Western Affliction by S.M. Winter. In the third installment of S.M. 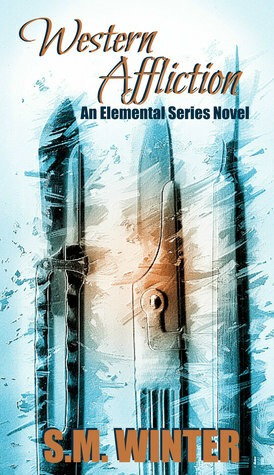 Winter’s Elemental Series, Tabitha’s story continues. The importance of choices between life and death, Elemental Magik and the Void, become even more important than before. Unbeknownst to the Elementals there has been a shift to the delicate balance of their world, and it could all come tumbling down at any moment. To ask other readers questions about Western Affliction, please sign up. Another great story! The book reveals more characters and through them we learn a little bit more about Tabitha, her powers, and her foes. New concepts are introduced and the author continues to explain with great analogies and makes fun connections so that we do not lose our footing while trying to follow along.